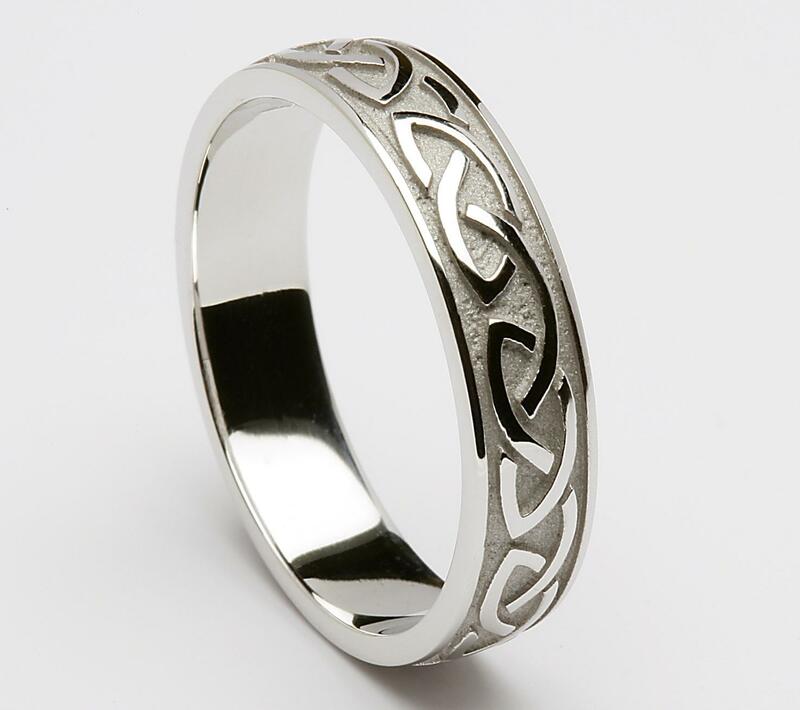 This classic Celtic knot represents eternal love; the knot intertwines with itself leaving neither beginning nor end. This simple open celtic weave symbolises two forces working in harmony with no beginning and no end. 18ct price availble on request white or yellow gold.